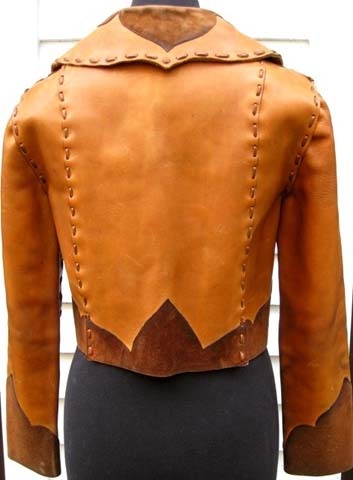 70s Char Painted Leather Hippie Jacket. 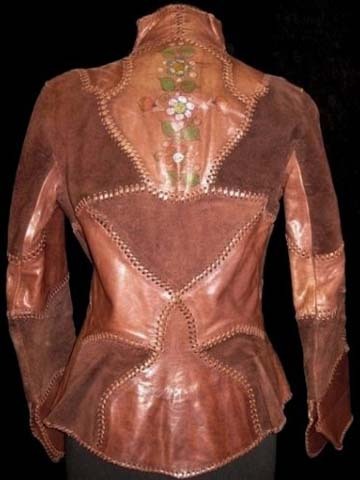 1970's designer hand painted CHAR leather jacket. 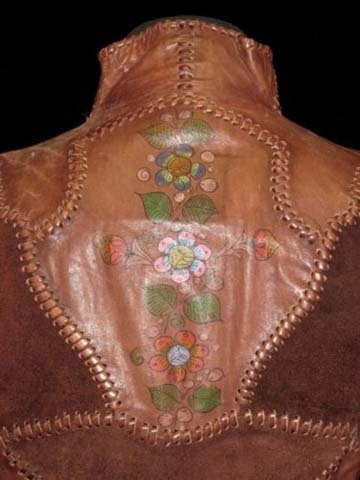 Fitted, brown leather, unique patchwork design, whip-stitch accenting, hand painted flower accents, leather lace front closures. 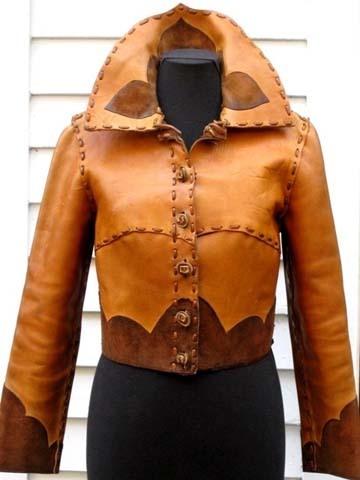 70s Leather Suede Hippie Jacket. 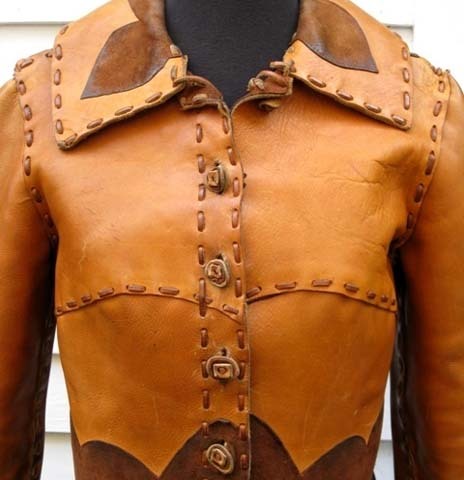 1970s hippie leather jacket. 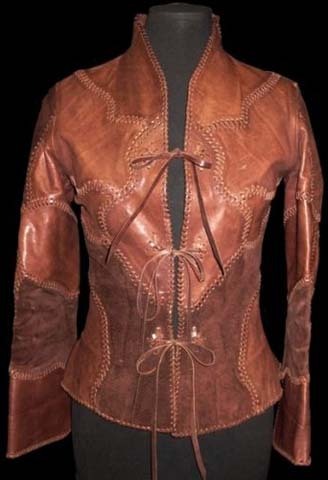 Cropped cut with whip-stitched seams, brown suede waist-sleeve-collar detailing.